Don’t wait until the countdown for an eleventh-hour dash to the delifor chips and something to toast at midnight. Like GREY GOOSE®’sdiscerning maître de chai, start prepping for the special evening a few days in advance. Stock the liquor cabinet and shop for hors d’oeuvres at your local farmers market, or someplace where you can handpick artisan cheeses, super-fresh crudités, and savory bits for a charcuterieplatter. Skip the gaudy decorations and tinsel; instead, tidy up your space andmake it party-friendly by moving furniture so that people have room tostand and sit. Stash away clutter or anything that can break Serving “neat” doesn’t just apply to the clean, sippable finish of GREY GOOSE® vodka, which is filtered through Champagne limestone: You also should approach hosting with a refined and put-together space. Even if your friends show up in jeans and heels, you are the host andshould still play the part. Pick a look that’s dressed-up, tailored,and neat. It’s great if you can add a touch of sparkle, say, with a tie featuring gold accents or a distinctive piece of jewelry—but theredoesn’t need to be glitter on the floor. Invest in some mid-quality champagne flutes and wine glasses—made of real glass—because nothing says college kegger like plastic cups. The right glass is the perfect way to fully appreciate the lush, buttery,melt-in-your-mouth notes of fine GREY GOOSE® vodka. A champagne toast on New Year’s Eve, where’s the element of surprise? Add color to your celebration and impress your guests with a flash of creativity. In lieu of standard-fare bubbly, serve up festive GREY GOOSE® Cranberry Sparklers. Made in Cognac, France, GREY GOOSE® vodka benefits from the region’s rich history of meticulously crafted spirits. 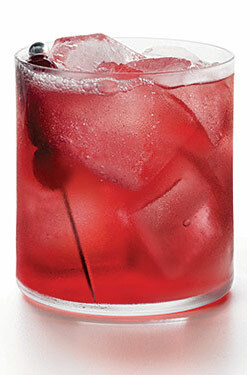 This festive cocktail sparkles with GREY GOOSE® Vodka and a brightsplash of cranberry juice. In a chilled rocks glass filled with ice, add GREY GOOSE®. Top withclub soda, and add a splash of cranberry juice. Garnish withcranberries on a cocktail pick or a lime wedge. The key to any good party like any well-crafted cocktail is the subtlemix. Don’t be shy about introducing friends who haven’t met before,and as host, be sure to spend a few moments with each of your guests. Circulate around the room, bringing people together. Keep the mood festive, but be sure not to over-serve your guests. Make sure you have a car service number handy for partygoers that might need a cab home. ©2010 GREY GOOSE, THE GREY GOOSE BOTTLE DESIGNS AND THE GEESE DEVICES ARE TRADEMARKS AND/OR REGISTERED TRADEMARKS. IMPORTED BY GREY GOOSE IMPORTING COMPANY, CORAL GABLES, FL. VODKA 40 % ALC. BY VOL. ; FLAVORED VODKAS EACH 40% ALC. BY VOL. - DISTILLED FROM GRAIN. Please note that the content of this sponsored guide is provided by an nymag.com promotional partner and not by the nymag.com editorial team.